UK dance music’s cross-pollination of musical styles and influences has contributed to the excitement, longevity and innovation of the scene from the very genesis of rave in the late 80s, with everything from jazz to metal at some point playing its part in the evolution of some corner of the electronic sound. Perhaps the strongest of those influences though is that of dub and reggae, without which it’s difficult to imagine the early Jungle sound ever having emerged at all. 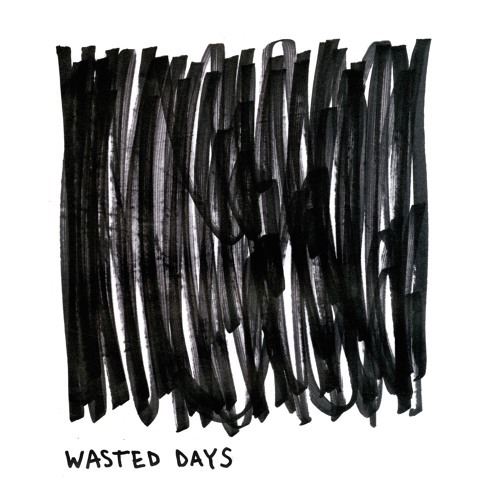 All of which brings us to Sam Binga and his new LP, Wasted Days. To say that Jamaican soundsystem culture informs this album would be a vast understatement; while there are many other elements being smashed into the aural supercollider that is Binga’s sound, the reverberations from Kingston can be felt everywhere from the patois of the vocals to the deep bass hums and beyond. This isn’t mere cultural appropriation though, but more accurately a fantastic melding of musical styles by one of Critical Music’s most exciting and relevant artists. Bring together the positivity of dub with the urgency of grime and footwork, topped off with the polish and engineering expected within the D&B scene and you have an album that couldn’t feel more potent. Refreshingly, this also feels like an album engineered for listening rather than for the selector’s convenience. Tracks weigh in at two and three minutes rather than five or six, and you’ll find few yawningly DJ friendly intros amongst the material. Rather than relying on breakdowns to change the energy, the track sequencing changes the pace instead, such as the fantastic switchup as the hyperactive grime of Run The Dance gives way to the beautiful, deep ambience of Hyroglifics collab Dark Day. Speaking of collaborators, Wasted Days is stuffed with so many featuring credits that the whole thing should probably be credited to “Binga & Friends”. Deft, Chimpo, Om Unit and Hyroglifics all get in on the beats while vocal stylings come from Warrior Queen, Fox, Rudey Lee, Rider Shafique, Romaine, TT The Artist, Slick Don and of course the inimitable Redders. Quite a roster! Overall this is one of the best albums we’ve heard in a year that continues to prove not only the quality but the diversity of the 170BPM sound. Absolutely essential listening! You can check out a selection of the tracks below (including some fearsome remixes from Ivy Lab available on a special edition 10″) so get yourself a flavour of Wasted Days before you hit up the Critical Store for a copy.